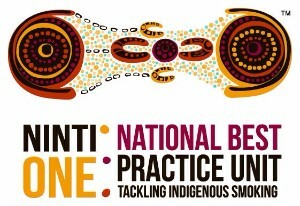 Welcome to the second update from the National Best Practice Unit for Tackling Indigenous Smoking (NBPU TIS). The NBPU TIS online resources are currently being finalised and will be launched in March. We will provide weekly updates to grant recipients in this format until the formal launch. Feel free to contact us as outlined below. Most of the members of the NBPU TIS team work from the Ninti One office in Adelaide under the guidance of Desley Thompson, Manager NBPU TIS. The team is assisted by a high level advisory group (currently being formed), the National Coordinator for Tackling Indigenous Smoking, Professor Tom Calma, and our consortium partners (the Health Research Institute at the University of Canberra, Australian Indigenous HealthInfoNet hosted by Edith Cowan University, and the Mind and Brain Centre of the University of Sydney). 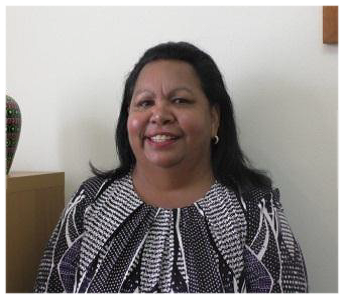 Desley is a proud Mamu woman from Far North Queensland with a working career that spans over 11 years with the Commonwealth Public Service and another 10 years with the non-government sector. In 2003, Desley was appointed Chief Executive Officer of the Cape York/Gulf Remote Area Aboriginal and Torres Strait Islander Child Care (RAATSICC) Advisory Association where she remained till 2013. Desleyâ€™s leadership quadrupled the number of staff at RAATSICC and expanded services over a number of regions. Desley was proud to have assisted so many people and their communities with all types of issues, particularly those concerning children and family matters. Desley started with NBPU TIS in late January and is looking forward to visiting TIS regional organisations to introduce NBPU TIS, and to discuss how we can best help you. As manager of the NBPU TIS, Desley is the primary contact for grant recipients and Aboriginal and Torres Strait Islander organisations. In the week 15-19 February, the NBPU TIS team is visiting organisations in Sydney and Southern NSW to begin introducing the team and to find out how we can best work with you. We will also be meeting with the national evaluator (CIRCA) to find out more about the proposed national TIS monitoring and evaluation framework.